Offering exquisite craftsmanship and visionary designs the Links of London collection re-imagines timeless styles to create an effortlessly charming blend of classic and contemporary. 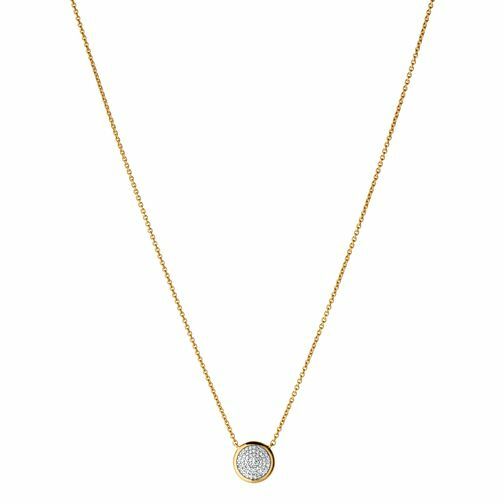 Crafted from 18ct yellow gold vermeil this diamond necklace is ideal for personalising by adding charms from the Links of London extensive range. Links of London 18ct Gold Vermeil Diamond Round Necklace is rated 5.0 out of 5 by 1. Rated 5 out of 5 by Anonymous from Great I already knew what I wanted so looked around and this was the cheapest website for the same thing? No brainier!